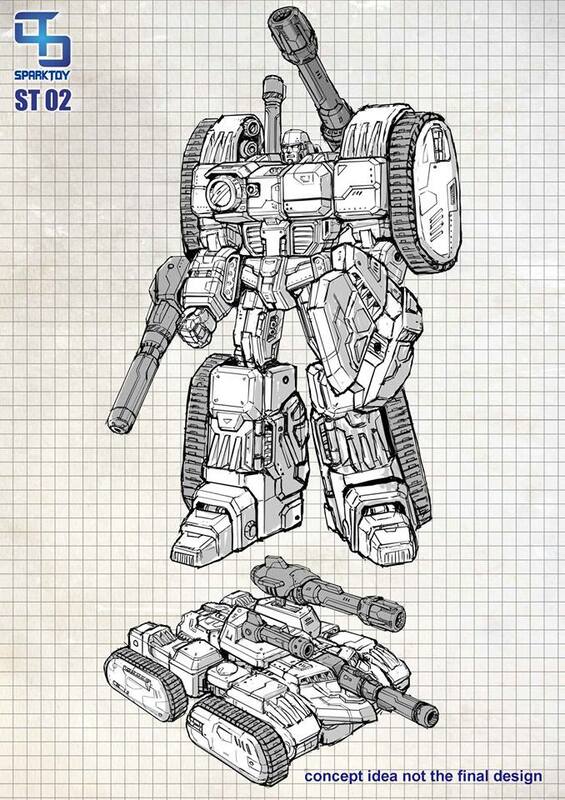 Lunar Toy Store announced on Facekbook that Spark Toys’ second project will be a Megatron homage styled after designs from the War Within series. Only the concept art is available at the moment, but this is indeed great news for fans of the Dream Wave designs. Check out the concept art after the break, and let us know if you are excited for this project on the boards. I finally ended up getting this figure after every reviewer drooled all over it and I have not been disappointed. I think this may be my favorite Megatron and it's probably my favorite figure in my collection right now. The paint, diecast, and overall level of finish is just outstanding. Toy Dojo has them on sale for $119 if anyone else is still looking for one. Transformed mine for the first today, really digging the tank mode! Why… it would totally destroy the look of this guy as he jumps right from the comic/game! Not sure I follow. You said you put in batteries that work – but the light doesn't light? So how is it working if it doesn't light up? To be honest, while the light up feature is cool – it's kinda dumb and I'll probably never use it and just get pissed when the batteries leak. lol..
Is there any chance I could have somebody show off any other fusion cannon options on this guy? I mean to say, can other Fusion cannons be plugged on this guy? Pulled the trigger on this guy, now I just need to track down that comic. I finally got mine (Not thanks to you Lunar Toy Store) It is awesome! I wonder what Spark Toys will release after Grimlock! I would love an Ironhide. Does spark toys have facebook or other means to contact them? So I picked this guy up as part of the Black Friday sales. Yeah. not my proudest moment. Starscream makes sense to me; a Seeker mold means a LOT of easy repaints. That's a great question. It's hard to pick the 4th most important War Within character after the big three. Starscream? Ultra Magnus? Jetfire? Shockwave? I recieved my Not Megatron, he is just amazing. I wonder if it's possible to put MMC Tyrantron's head on it….